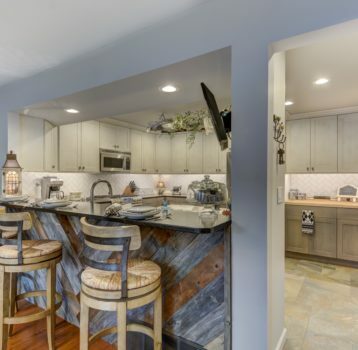 Reclaimed wood floors and upper beam, new arched doorway and custom door, distressed cabinets and combination of stainless steel and butcher block counters, custom crown moulding, brick veneer on opposing walls. There is nothing ordinary about this traditional 2-story home in Springfield, Illinois. Built in the 1930’s, this home boasted of charm, but lacked the needed functionality for the homeowner’s unique needs. The ultimate goal was an open kitchen and dining space for frequent entertaining yet versatile enough to support a not-for-profit ministry baking in excess of 40-50 dozen cookies daily. Our challenge: create a small functional commercial kitchen with quaint and intimate dining space with the feel of a restored urban loft. 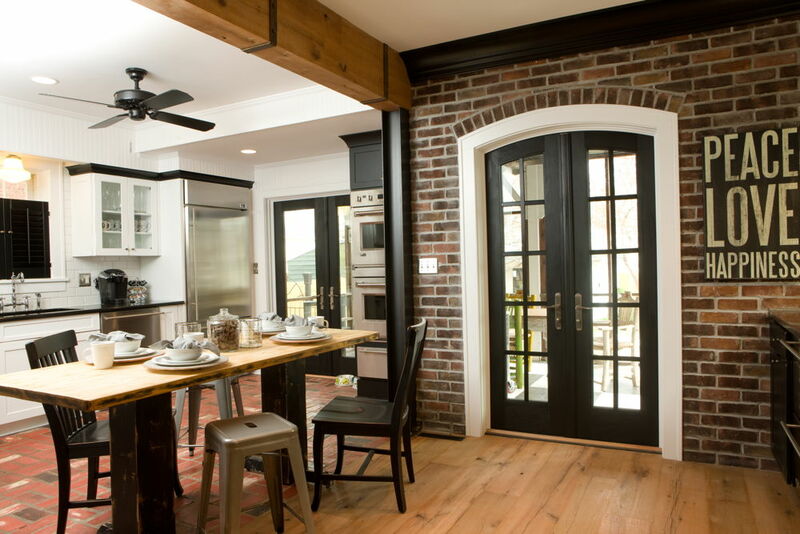 Using “worn” materials to blend this new space to existing kitchen with brick floors just suited the look and feel of the home. 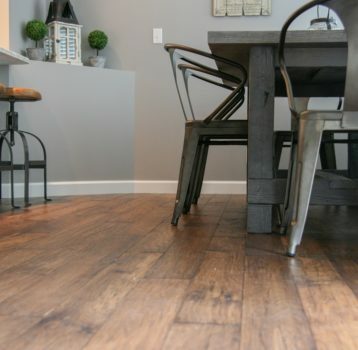 Modern, a bit rustic, very warm and inviting. 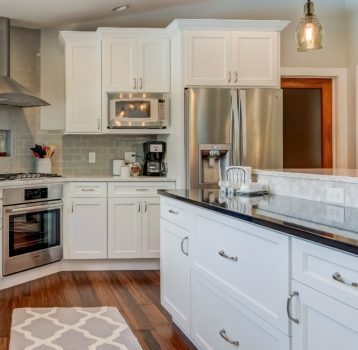 The new space boasts a double wall oven and 2-drawer refrigerator, a drawer microwave, a wall of base cabinets for storage, open counter space and versatile open floor plan allowing the homeowners to entertain larger crowds.